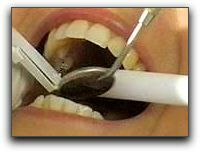 Home › Cosmetic Dentistry › Dental Check Up: How Often? When is the last time you had a dental check-up?At Cornwall Dental Arts in Cornwall ON, we recommend seeing us for a check-up and cleaning every six months. It’s a basic part of our general dentistry. If you have a higher risk for oral diseases, we advise you to receive an examination every four months. The common theme in most of the above is prevention. When it comes to your oral health, general and family dentistry at Cornwall Dental Arts in Cornwall ON is the best way to take care of your teeth and gums. We also provide cosmetic dentistry. Make an appointment with us today.